Run & founded by one of our partners David Wong. David was involved with the Navigators ministry when he was with the Singapore Air Force, and served briefly as a missionary with Operation Mobilization in India. He graduated with a Bachelor of Theology from South India Biblical Seminary, and served as a pastor in the People’s Bible Church for four and a half years. In 1992, David left the pastoral ministry and ventured back into the Marketplace. 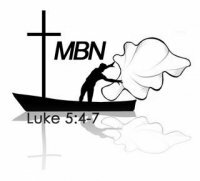 We are a group of Christian business owners and professionals who seek to promote “Integration of Business & Ministry”. We aim to provide business opportunities/partnership to Kingdom-minded believers. We seek to bring the Holy Spirit back to the Marketplace, expecting the Holy Spirit to work in signs & wonders. 1. To raise up a network of Kingdom-minded business owners committed to generate wealth for Kingdom advancement. 2. We seek to reclaim and transform the “Business Mountain” back to God’s rule. Join the group or contact David here.